Good Sunday morning ! I hope you are having a great weekend ! I decided to start a new blanket using all my scrap balls of yarn.. All the squares are being bordered in white. Love all the colors ! I am using the join as you go method to join them .. 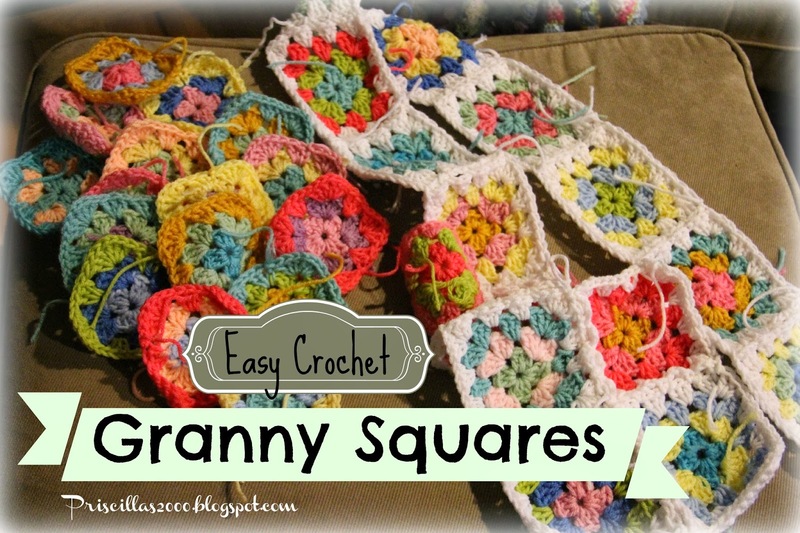 This is a traditional granny square ..here is a great video if you need instructions. I am using an H hook and worsted weight yarn. Be sure to come back and visit tomorrow , There will be a giveaway ! I am very excited for tomorrows post! Today is a sad day around here , my college boy is heading back to Kentucky ! Football starts back up Tuesday and school on Wednesday .. Cute! Thanks for the tutorial link. Looks like an easy to follow video! Love your granny squares! Great colors too. I went over to your friend's site who loaned you the dog pattern and lo and behold she has a Rottweiller which I also have. I've had quite a few in my lifetime. I started following her but noticed she hasn't blogged since Thanksgiving. You motivated me to drag out my crochet again (I've been doing knitting for Christmas and 3 birthdays in January) and also my cross stitch. 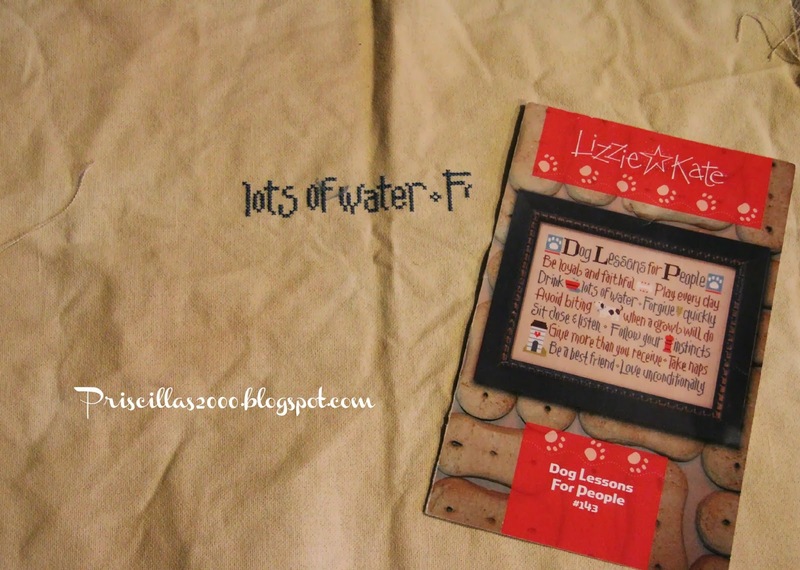 I love the dog chart! A warmup is coming! I thought football was winding down? 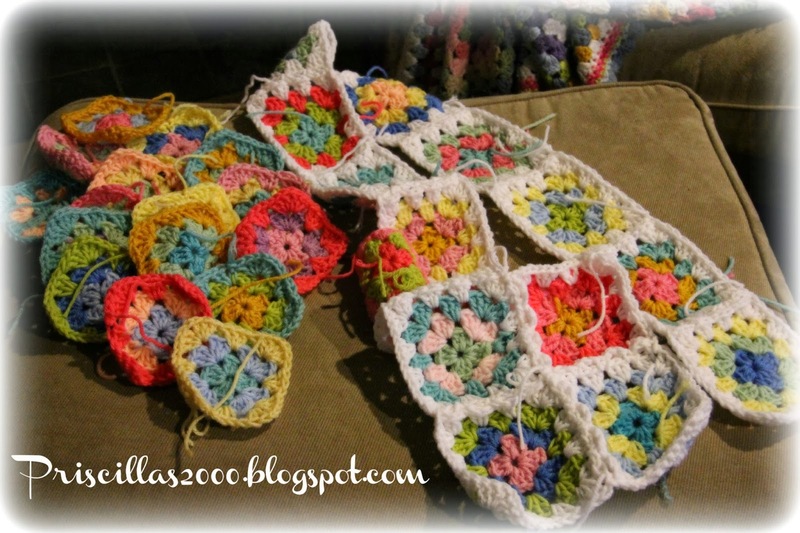 You are right, the granny squares are very pretty colors. Best of luck to your son as he heads back to school. I remember always feeling sad when my children had to return to school. I just finished an afghan for our son and was putting the extra yarn in my stash. Thanks to your post, I may have discovered my next project! 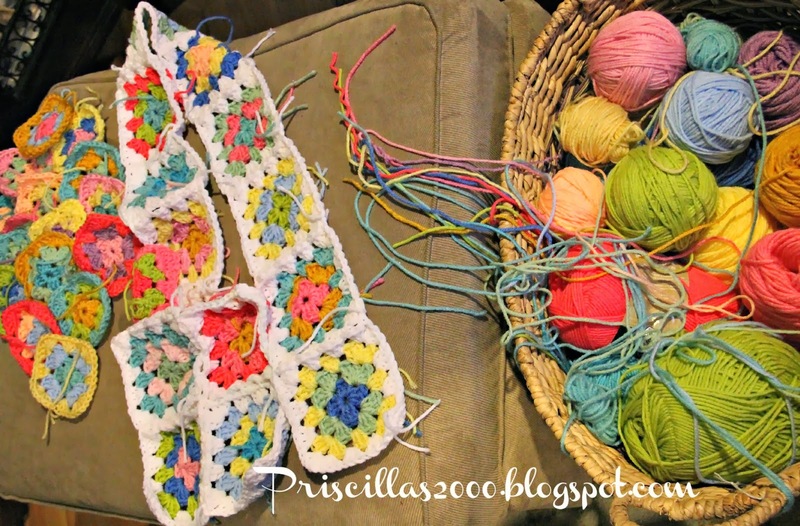 Love granny squares but making all the borders the same color is great. Also, like the 'join as you go' method makes it seem to go faster. Stay warm! Oooh just love the colours they are so pretty. I really feel for you with your son going away. One of our grandsons, 21, is working in Ireland for a month and we all really miss him. 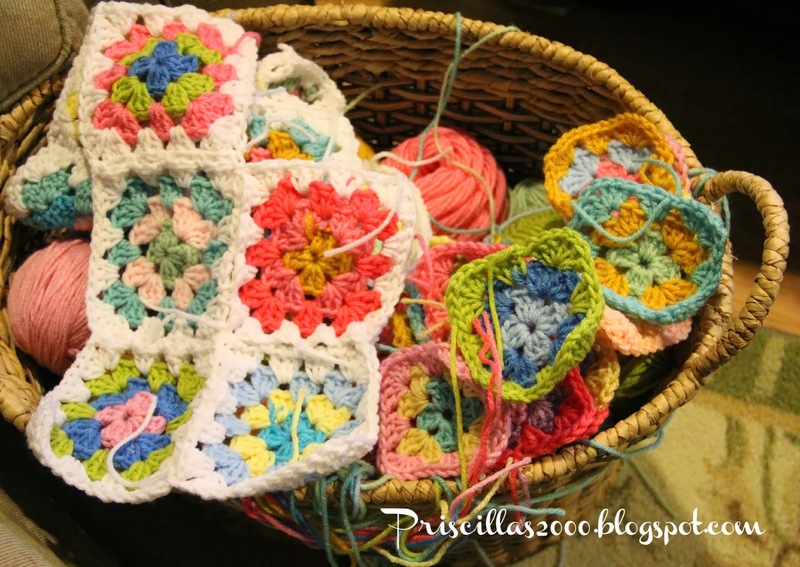 Hi I love this granny square blanket you are making and I love anything granny square. I have never used to join as you go method and it's probably better. I have sewn my pieces together at the end. TFS on A stroll thru life. I adore granny squares but can't make them. I am going to watch that tutorial video and if I still can't make them can you come to Texas and teach me? I just found your blog and am a new follower. I love to crochet but have never gotten the hang of making granny squares! I am determined this year to learn how to make them. I am going to watch the video you posted a link to. Love your granny squares ~ all the colors look so pretty together! I hope you enjoy Dog Lessons as much as I did ~ a very fun stitch. Please feel free to pass it along when you are finished. Thanks so much for sharing Melanie's video tutorial link! I've always wanted to learn how to do granny squares, and I think I can do that now with this video. I love your colors!! I'm wondering if you used wool? Easy for you, not so easy for some of us. lol! I haven't tried crocheting since I was first married. Did it way too tight. Would like to give it a whirl again some time. Love the cheery colors! You'll be missing college boy, but what a fun time for him! Thanks for sharing with SYC.